Much can be said about video game movie adaptations. One thing in particular that can be said is that they usually aren't very good. But, what about this video game adaption? What can be said about this one? Well... it wasn't very good. In my opinion, the first movie wasn't bad. It wasn't great, but it definitely wasn't bad. I enjoyed it. 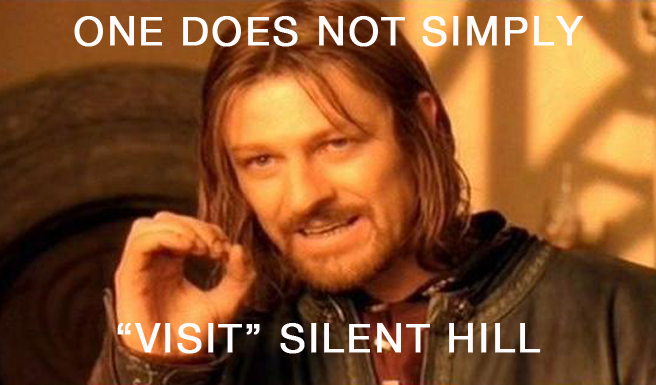 I'm a fan of the Silent Hill series, and I felt that they did a good job giving the movie that "Silent Hill" feel. But, Silent Hill: Revelations felt very stale. The only time I jumped was when the scene cut to a Pop Tart popping out of a toaster. They failed to make me feel any sense danger. And it felt hard for me to even care if the characters lived or died. The story follows the little girl from the first movie. But she's not little anymore. It's her birthday and she's 18 years old. I know what you're probably thinking, "she was stuck in Silent Hill when the first movie ended." Bro, it's a sequel. They're going to explain what happened after the first movie. Go see the movie if you want to know that bad. I'm not spoiling this one. I didn't like it enough to want to rant on and on about it. Listen, I'm just going to cut this one short, there's really not much else to talk about. Just don't waste your time and money seeing this movie. ESPECIALLY not in 3D. If you haven't learned by now, no movie is worth seeing in 3D except for epic movies like Avatar and Prometheus. Films that are actually shot and made for 3D. Not pieces of trash like Silent Hill who are just jumping on the 3D bandwagon to cash in. It was awesome watching the ash fall in the beginning of the movie. And then that Pop Tart really got me... but that's about it. Wait until it comes out on cable if you're even the least bit curious about the movie.